As we discussed email in the last episode, email management of multiple accounts has its positives and negatives. All of us, Augusto, Art, Francis and I have multiple email accounts. And, to be honest, I don’t know many people who have only one solitary email account. But, whether you have one inbox, or 10 inboxes, one methodology that’s cropped up and lingered for nearly two decades is the idea of Inbox Zero. 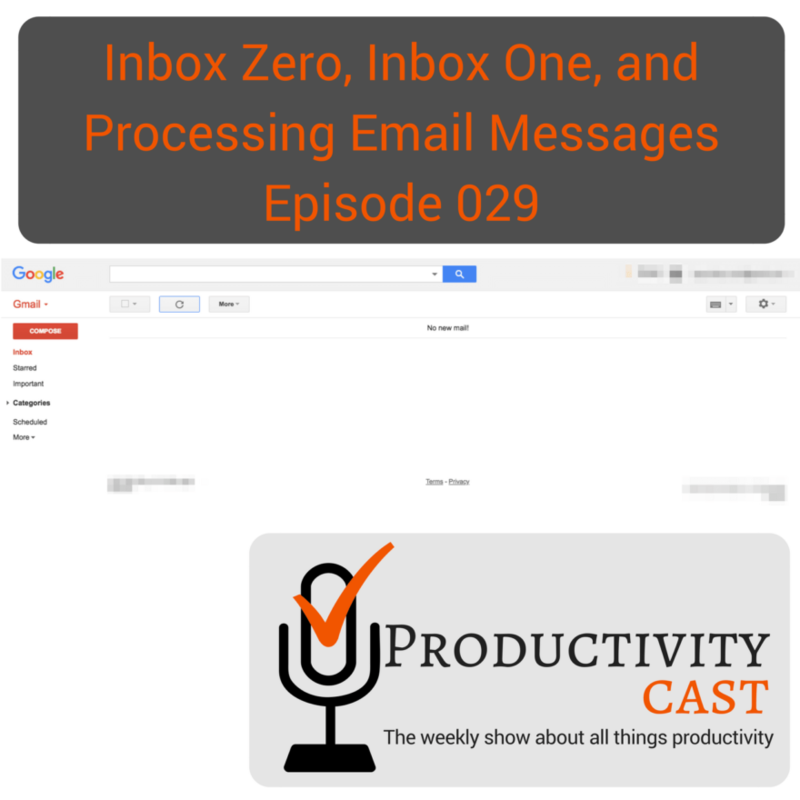 In this cast, we discuss the history of Inbox Zero (with the pros and cons), some related concepts that I’ve theorized over the years (namely my Inbox One and Tab Zero methods, the former of which I hinted at in the last cast), and get feedback and permutations from the ProductivityCast team. We close with some thoughts on email message processing. Enjoy! Give us feedback! And, thanks for listening!